Here’s the latest cross-posting from my Africa Update newsletter! We’ve got the paradox of powdered milk in cattle-loving Somalia, the national airline of Chad, challenges of urban planning in Kenya, free African documentaries online, and more. West Africa: Because Dakar lacks public space, kids play on the beaches, despite a high risk of drowning in the strong Atlantic currents. Stereotypes about single women in Nigeria make it difficult for them to rent apartments on their own. “Many Nigerian small businesses are products of ‘necessity entrepreneurship’ and therefore would not exist if there were more large-scale employers offering better salaries.” This was a thought-provoking article about why former combatants in Côte d’Ivoire generally refrained from going to work as mercenaries in Mali. Central Africa: There’s a large Congolese refugee population in Kenya, but they lack access to support since they usually stay in Nairobi rather than in designated camps. An activist group in the DRC has launched an online portal to track the quality of election implementation. Kabila has finally named his successor in the DRC’s presidential race, but there’s little reason to expect that this will change the quality of governance. The competitiveness of elections is limited by the fact that all Congolese presidential candidates must pay US$100,000 to get onto the ballot. Lisez cet article : « Au Rwanda, la transformation agricole à marche forcée. » Chad is launching a new national airline, which is clearly the most important priority for a poor, conflict-prone country. East Africa: Read about the informal courts maintaining order in IDP camps in South Sudan. Over 40,000 Kenyans have been denied compensation for alleged torture during the colonial era after a British judge said their case exceeded the statute of limitations. Kenyan activist groups are repurposing famous dates from the democracy struggle to call attention to extrajudicial killings. This is a great story about the challenges of setting up Kenya’s first domestic athletic shoe brand. Nairobi tried to get its private buses to go cashless, but they failed to get buy-in from an obvious constituency: the drivers. Many Somalis drink powdered milk instead of fresh because a lack of regulation makes fresh milk dangerous, but one dairy is trying to change that. Deaf footballers in Somalia have set up their own league after being blocked from joining existing leagues. This was an interesting piece about path dependence and the end of sanctions in Sudan, where people who are accustomed to working outside the formal banking system are reluctant to re-engage with it. Southern Africa: In Botswana, a new antiretroviral drug could save the lives of HIV patients, but there are concerns about whether it may lead to birth defects, since pregnant women are rarely included in studies of drug safety. The Magamba Network offers regular polling data on citizen sentiment in Zimbabwe. Urban planning in Kenya: Residents of poor areas in Nairobi are mapping their neighborhoods to make it more difficult for the government to demolish them and then claim they don’t have records of who lived there. Kibera residents are also speaking out against the “poverty tourism” which brings foreign visitors to their neighborhoods to gawk at them. Kenya’s president has a plan to build social housing, but one critic points out that the mortgage rates are still out of reach for most people who really need access to better living conditions. Buildings in Nairobi are being demolished for encroaching on rivers, but some commentators are asking how the demolitions will meet the city’s broader mission of urban regeneration. Infrastructure week: Kenya and Ethiopia are close to completing construction for cross-border electricity transmission, in a step towards creating a regional power pool. Foreign architects are accused of building schools for form rather than function in Nairobi. The perils of distributive politics are clear in Uganda, where a politician destroyed boreholes he had installed in his constituency after he lost an election. In Kampala, race-based restrictions on housing from the colonial era are still visible in the build environment today. Arts and culture: A Beninese artist planted a copy of a 19th century royal throne at an archaeological dig to protest the fact that the original throne is held at a museum in France. A dozen authors from the Middle East and Africa who were invited to the Edinburgh International Book Festival had their visas denied for unclear reasons. AfriDocs has a number of African documentaries available to watch online for free. Check out the online resources for teaching African decolonization at the National History Center. Fellowships and workshops: The Women for Africa Foundation offers visiting positions at Spanish centers of excellence in science for female researchers from Africa. If you’re a writer in Nairobi, don’t miss this great writing workshop being offered by Nanjala Nyabola and others on August 28. Journalists should apply for the African Investigative Journalism Conference from October 29 – 31. I saw Captain America: Civil War earlier this month, and since then I’ve been pondering a question that unites my interests in Africa, maps, and Marvel movies: where is Wakanda? In the comics, the country appears to move around the Sahel, presumably depending on whoever’s drawing it. Julian Chambliss has a great overview of Wakanda’s surprising mobility, featuring a 1500+ mile move in just two years. The latter map is closer to the image of Wakanda shown briefly during a news broadcast in Captain America. I produced a clean version of this image in Google Maps. It appears that the MCU’s Wakanda occupies a decent part of northern Kenya around Lake Turkana, plus bits of South Sudan and Ethiopia as well. Presumably the country was never colonized, rather like its neighbor Ethiopia. This would also support the idea of the quasi-mythical status of the king of Wakanda, akin to the way that Haile Selassie inspired his own religion. The chances of the country remaining a monarchy into the 21st century seem slim. The only African country that’s successfully done this is Swaziland, and the monarchy faces frequent criticism for its economic mismanagement. Almost every other country on the continent has held at least pro forma elections since the 1990s. It seems more likely that Wakanda would have followed in the footsteps of Botswana, and undergone a managed regime change which refashioned traditional leaders as democratically elected officials. My single biggest criticism of Captain America’s portrayal of Wakanda has to do with its language policy. The film’s “Wakandan” is actually Xhosa, spoken by South African actor John Kani, who plays T’Challa’s father T’Chaka. South Africa, mind you, is roughly 2000 miles away from northern Kenya. It’s the equivalent of having Queen Elizabeth chatting to Prince Charles in Russian. 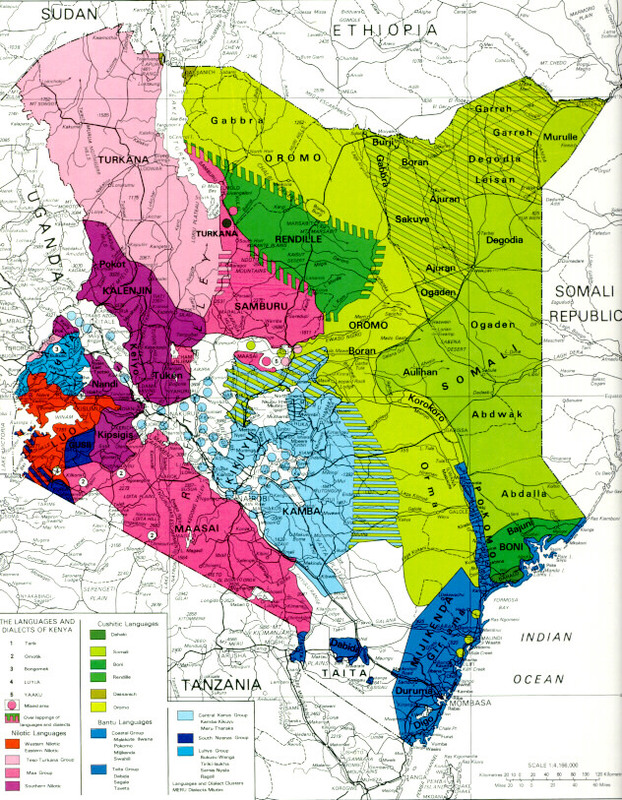 The two languages actually in widespread use in northern Kenya are Turkana (to the west of the lake) and Oromo (to the east). These are members of entirely different language families and are not mutually intelligible, so Wakanda would need some type of lingua franca. The most obvious candidate is Swahili, which plays this role throughout east Africa. Globalization also makes English attractive. At any rate, it will be quite interesting to see how the Black Panther film portrays the country. Belgian filmmaker Kristof Bilsen has just released Elephant’s Dream, a fascinating documentary on the live of public servants in Kinshasa. It’s premiering in London at 4 pm today at the East End Film Festival, and is available for community screenings in Belgium as well. So refreshing to see a film about the DRC that isn’t about either war or sapeurs. Was Singapore’s growth really exceptional? The success of the Asian Tiger economies has always posed an interesting question for African economic policy: if these post-colonial countries could grow so rapidly, why haven’t most others? Strong authoritarian leadership and favorable geography are generally thought to explain some of the difference, but the rest is usually attributed to poor industrial policy on the part of African leaders. Already by the 1970s, Singaporean GDP per capita actually exceeded that of the UK. But the main point to take away … is that Singapore entered the community of independent states as a prosperous country, at least by the standards of the time. That Singapore has progressed tremendously since independence is true, but not a story of turning the “Third World” into the first. If anything, it is a story of how to escape the middle income trap. In another post, Tom shared a video that makes a similar point: the Singapore of 1957 looked more similar to the Singapore of today than one might have expected. While not directly related to economic growth, I also found Emmanuel Yujuico’s post on the establishment of the Singaporean military fascinating. Lacking the domestic capability to build a strong army quickly, Lee solicited help from Israel, and the strong military relationship between the two countries persists to this day. The STC bus that I caught from Accra to Tamale yesterday was equipped with a DVD player, and we were treated to four Nollywood productions, all of which were centrally concerned with witchcraft. I didn’t catch the title of the first one, but highlights included a man getting up in the midst of the night to swat at a moth in his room, only to have the insect turn first into a bird and then into his wife. Egg of Life portrayed a campfire story told by an older man to a group of children, about a chief’s son who was poisoned by the witches he had inadvisedly consorted with in his youth, and the group of female warriors who were sent to find the restorative Egg of Life. (The traditional costumes were quite lovely.) Brotherhood of Vipers was really beautifully lit, with deeply saturated colors lending interest to this story of business rivals using witchcraft to get ahead, whilst Super Warriors was a cheesy romp about a magician who cast down his enemies by shooting lightning from the Star of David painted on his forehead. This put me in mind of an article I recently read by Stephen Ellis and Gerrie Ter Haar. In “Religion and Politics: Taking African Epistemologies Seriously,” they argue that many African approaches to religion* treat the material and the spirit worlds as constituting a single spectrum of reality. They note as well that this historical mode of thought may go some way towards explaining the warm reception of charismatic Christian churches in Africa, whose messages of spiritual healing (and the prosperity gospel) have proven increasingly popular over the last decades. 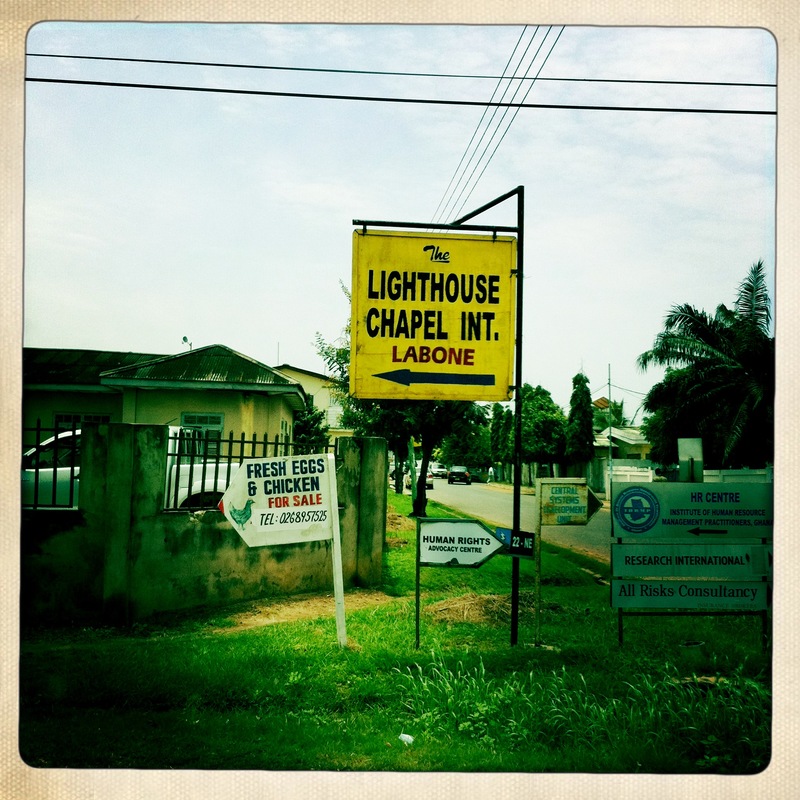 In Ghana, charismatic churches such as the Lighthouse Chapel International have been growing at the expense of the mainline Protestant and Catholic churches at least since the 1970s. Paul Gifford touches on these issues in his recent study of Ghana’s charismatic movement, which offers up some telling observations of pastors calling upon the holy spirit to counteract juju worked upon members of the congregation. Traditional typologies of spiritual forces may thus co-exist with biblical descriptors of the same phenomena, such as demons. It’s fascinating to see the ways in which a set of cultural practices and beliefs that were at the first utterly un-African (i.e. Christianity) have slowly adapted themselves to their local setting. *This isn’t intended to over-generalize, however; there’s obviously a huge diversity of religous practice and belief (or unbelief, for that matter) within the continent!